I’m working in a legacy distributed system written in .NET which primarily uses Remote Procedure style communication, in fact it uses a mixture of classic .NET Remoting and Windows Communication Foundation. 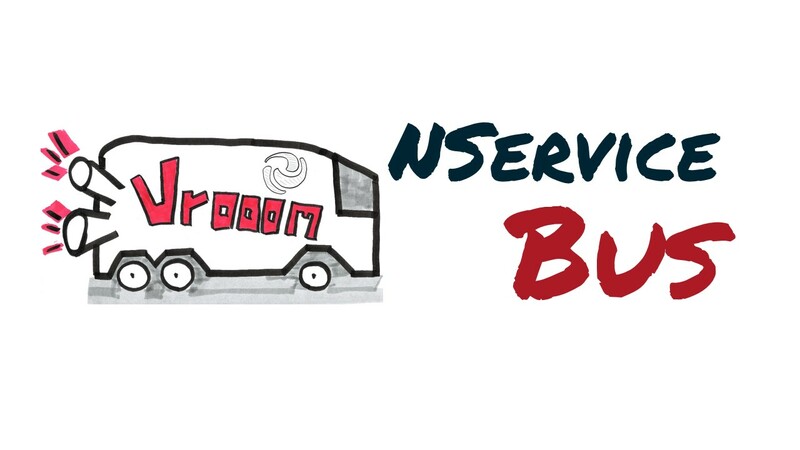 In order to fulfill new scalability requirements but also to decouple the big ball of mud we introduced NServiceBus into the game. Our server infrastructure was Windows based and therefore we simply started with MSMQ as a transport layer. Because our legacy code base had a hand-written transaction and database layer, we needed a robust transaction management between the queue and the database operations. 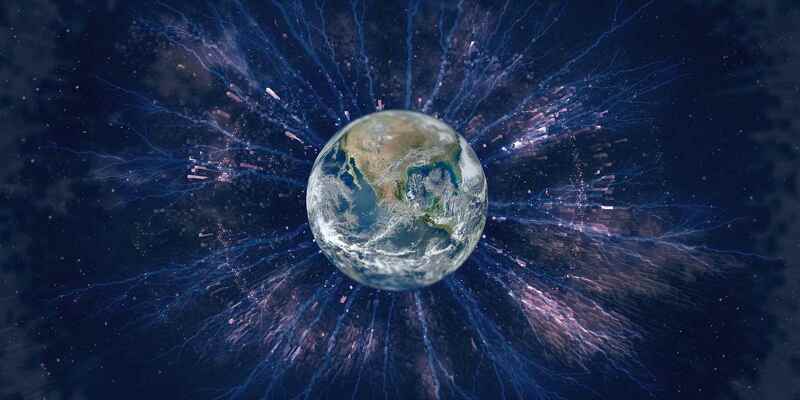 At first MSMQ seemed to be the right choice, because it supports distributed transactions (two-phase commit protocol) natively which can span the queue and the database. Sometime later we were faced with new business requirements. We needed to integrate with other systems in the corporate network. Those systems were built in Java, running on Linux servers and already used ActiveMQ as a transport layer. We needed to answer a lot of questions: How do we interop with the Java side based upon messaging? Could we somehow bridge between MSMQ and ActiveMQ? 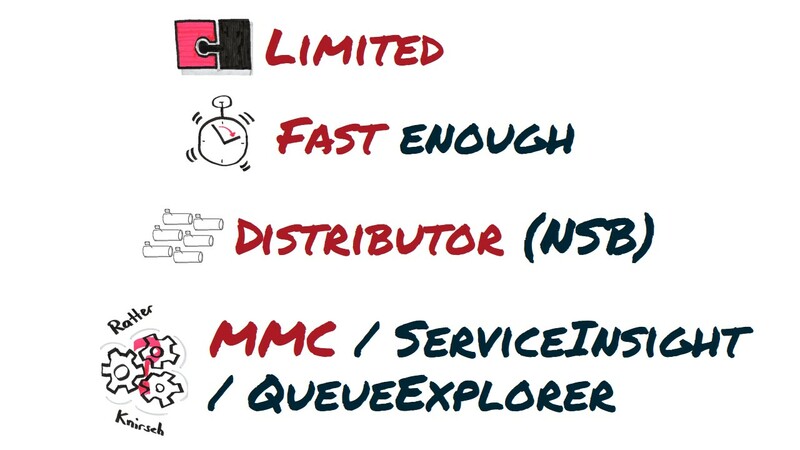 … We decided to switch from MSMQ to ActiveMQ because it supported distributed transactions, until we found out that it didn’t… Fast forward later we lost over 20’000 invoice messages in the datacenter. This war story shows that is crucially important to carefully pick your transport layer based on functional and non-functional requirements. Whether you need to interop between different programming languages or server environments, what kind of consistency guarantees are required, how much throughput you need and more influences the transport layer selection process. 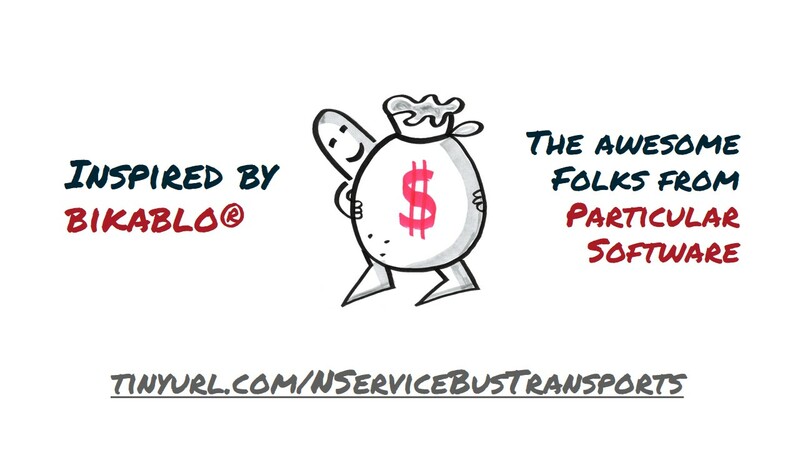 Before we explore the transport level choices which come with NServiceBus I want to briefly cover some basics of NServiceBus and explain the sample project which will guide us through this presentation. 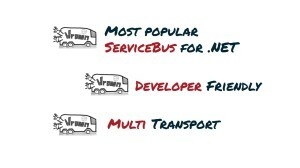 NServiceBus is the most popular ServiceBus for .NET. 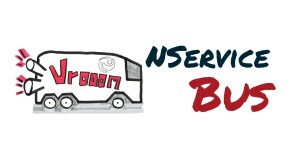 With over 250,000 downloads and thousands of production deployments, companies of all sizes and across all verticals count on NServiceBus. 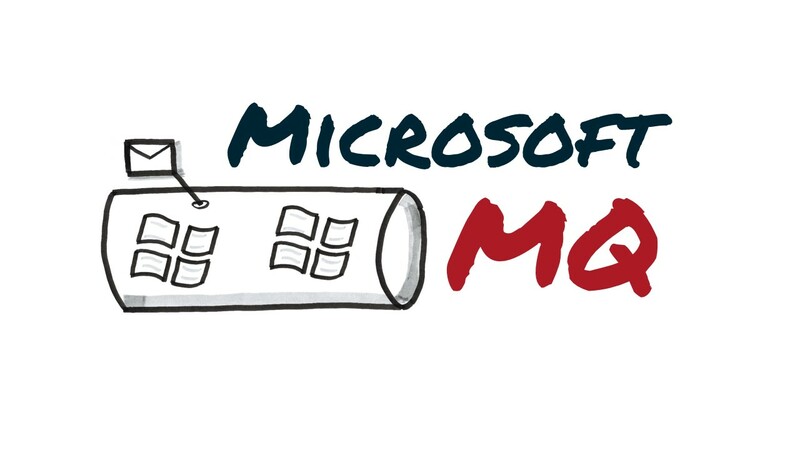 It supports multiple transports such as MSMQ, RabbitMQ, ActiveMQ, Azure and Sql Server. It is extremely developer friendly and a breeze to start with. You don’t believe me? 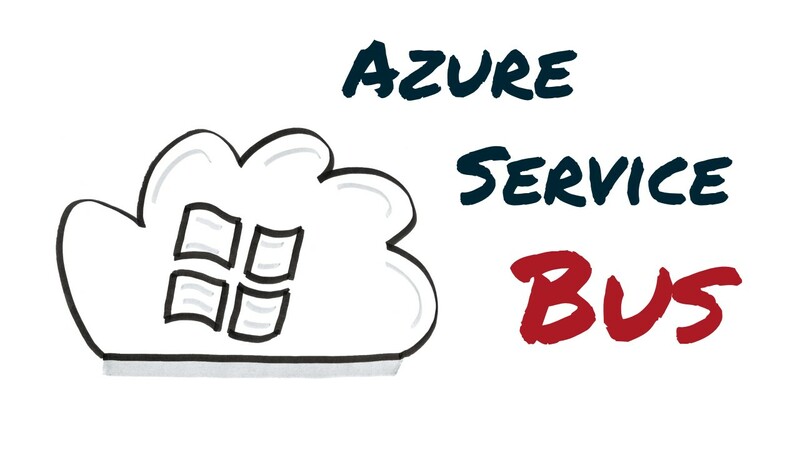 Let us build that crazy sample with NServiceBus. 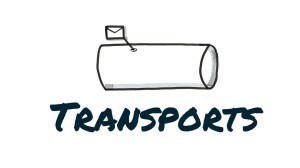 Finally we can start talking about transports. Before we dive into the individual transports I want to briefly cover some general aspects which I think are important to consider when choosing a transport for your project. The first aspect is the transport style. The bus is an architectural style. The bus architectural style is pretty difficult to draw on a paper. Often it is drawn as a centralized line or pipe. This representation is misleading. 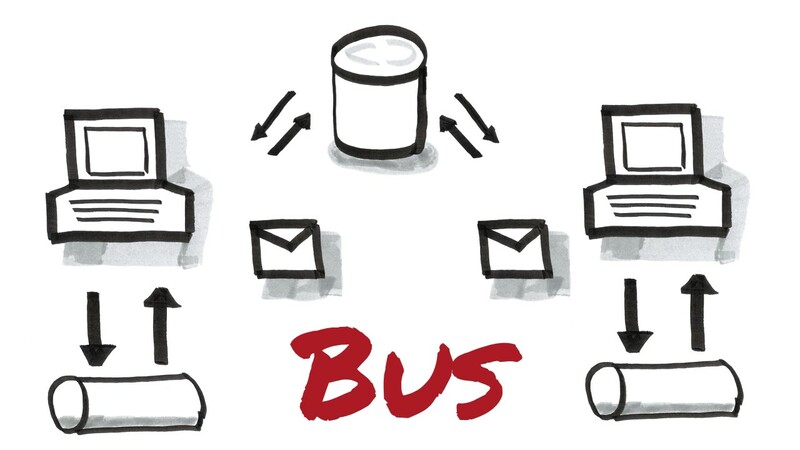 In a bus architecture there is no physical Ethernet box that things connect to remotely – the bus is physically everywhere. 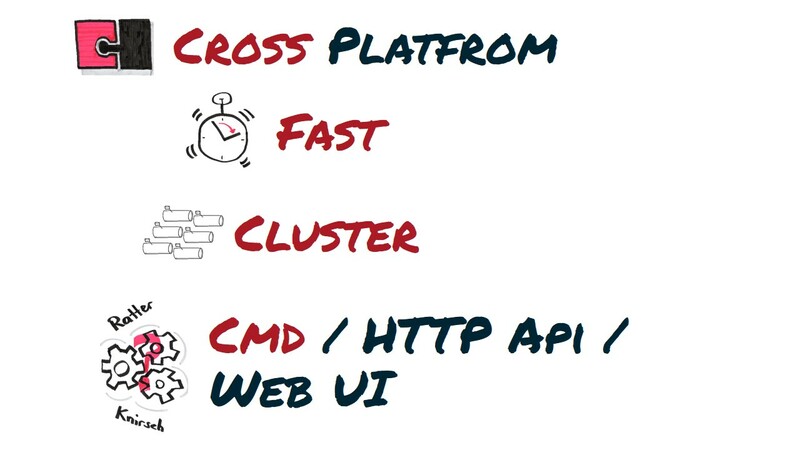 In contrast to the widely used broker architectural style, which we’ll discuss next, the bus does not centralize routing, data transformation or orchestration. 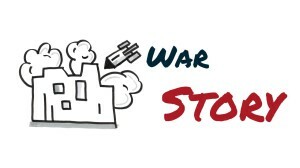 In order to achieve such a decentralized architecture style we need the store and forward pattern. A publisher first looks into his subscription store (database symbol in the picture above) whether there is any interested subscriber registered. If there is a subscription present, the publisher first stores the message into his local outgoing queue. The messages remains in the outgoing queue as long as the remote machine is not available. As soon as the subscriber machine is available the message gets transferred to the ingoing queue of the subscriber. When the subscriber process is not online, the message remains in the ingoing queue. Finally when the subscriber is online it gets picked from the ingoing queue and processed. Because of the decentralized nature of this architecture style it, is extremely robust and easy to scale but usually harder to manage than a centralized style. Note: For simplicity the picture above shows only one subscription database which might imply a centralized architecture style. In reality we normally have multiple independent subscription database per service. 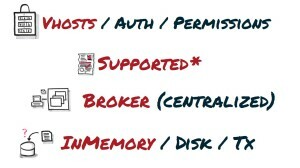 In contrast to the decentralized bus architecture style the broker architecture style uses a centralized “hub and spoke” or “mediator” design. The initial intend of brokers was to avoid having to change apps. 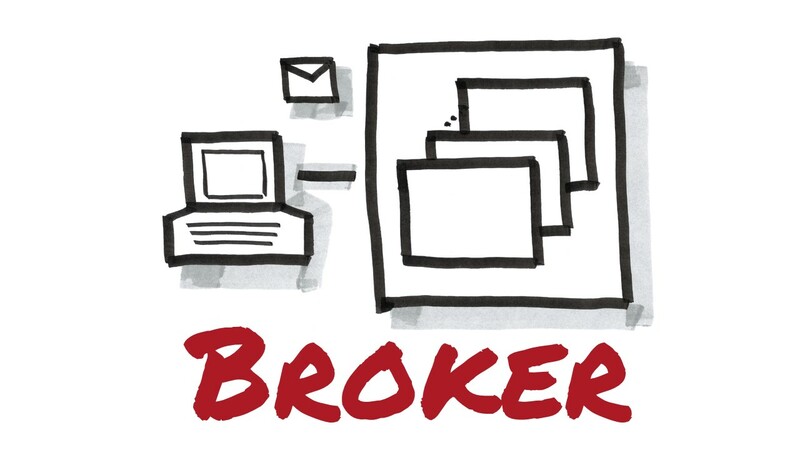 The broker is a physically separate process which all communication is routed through. The broker itself handles fail over, routing and more. It is a single point of failure and therefore must be designed robust and for high-performance. Because all communication is concentrated to a single logical entity the broker enables central management as well as intelligent routing, data transformation and orchestration. Reconfiguration usually only happens on the broker and if well designed, doesn’t require changes to the deployed applications. This could potentially prevent applications from gaining autonomy and often leads to procedural programming at large scale because changes to the broker are not acceptance tested or under source control. Each architecture style comes with its own pros and cons and have to be carefully discussed with IT operations (hopefully DevOps J ) and weighted against non-functional requirements. 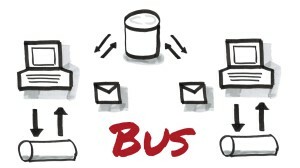 But it is also possible to use a combination of both bus and brokers architecture style. The next aspect is speed. 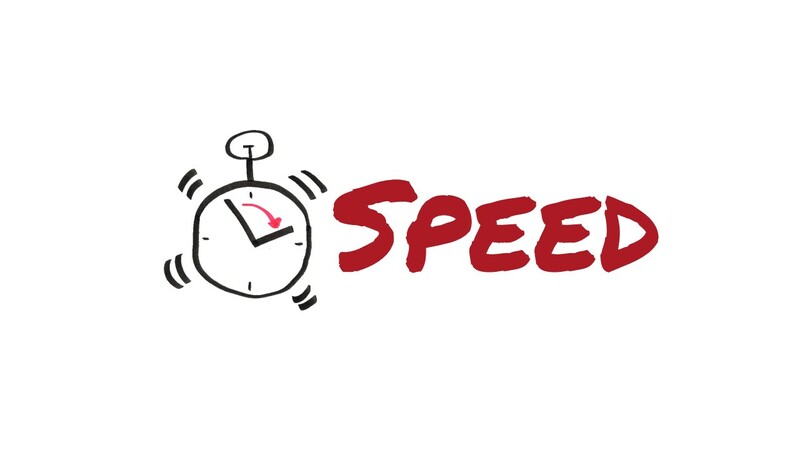 Disclaimer first: I’m not going to give away any speed related numbers like XYTransport can handle X1000’s of messages per second. These numbers are extremely dependent upon the hardware available and how the individual transport is configured. Ask yourself those questions for each business scenario. There is no general answer for the whole system if you want maximum possible performance for each scenario. 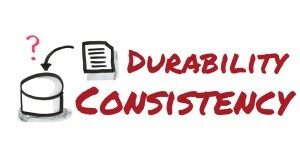 This brings us to the next aspect durability and consistency. Always try to avoid distributed transactions like XA with JTA under Java/Linux or DTC under Windows (two-phase commit protocol) if possible. Especially when you are working in a Greenfield system. 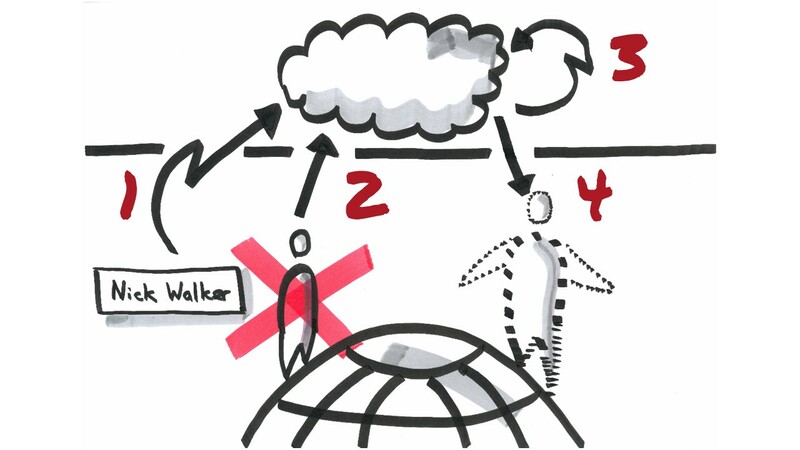 Design the process so that messages or their consumptions are idempotent. I’m not going to cover message idempotency in this presentation. For larger brown field applications it can sometimes be helpful, for example during the refactoring and redesign process, to be able to rely on distributed transactions. The distributed transactions will then span transactions over multiple IO resources such as the transport itself and involved databases (if they support two-phase commit). But distributed transactions have large impact on the processing speed and are cumbersome to manage when they fail. Scale out is not only important when the system gets bigger and bigger but also for high-availability. For example if you need to update your broker you want the system still be operational. Brokers usually come with a large number of features which allow to scale out or make it high available. For example there are operation modes like broker clustering, master slave, network of brokers and more. 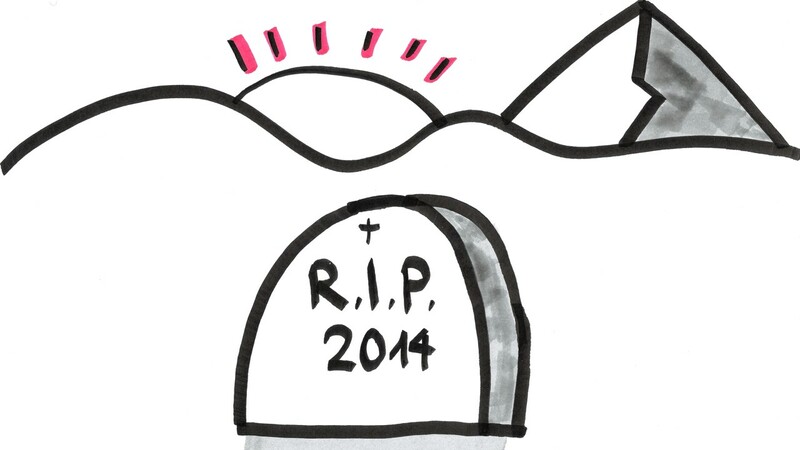 Never forget to consider good old load balancers! Besides all the transport “featureitis” this point is often forgotten. 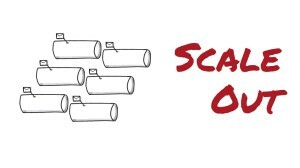 But believe me: You absolutely need good operational tools to detect failures, bulk move and copy messages between queues and monitor your message system. No matter if you do store and forward, broker based transport or both in combination. 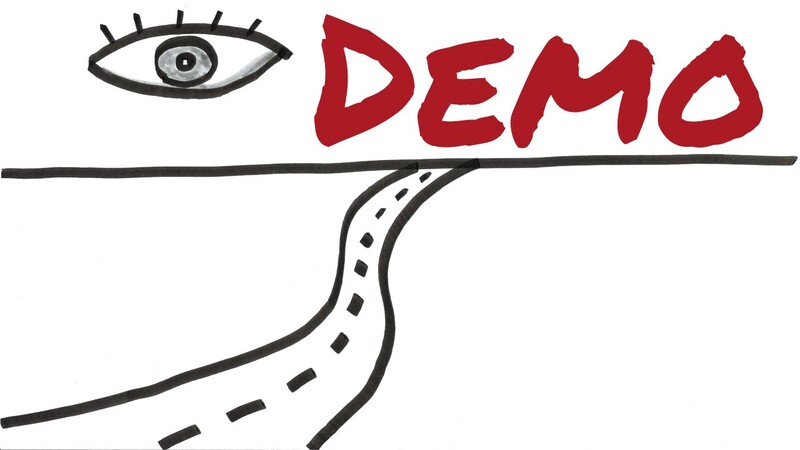 You often need to integrate the transport into existing authorization and authentication solutions such as ActiveDirectory and LDAP. 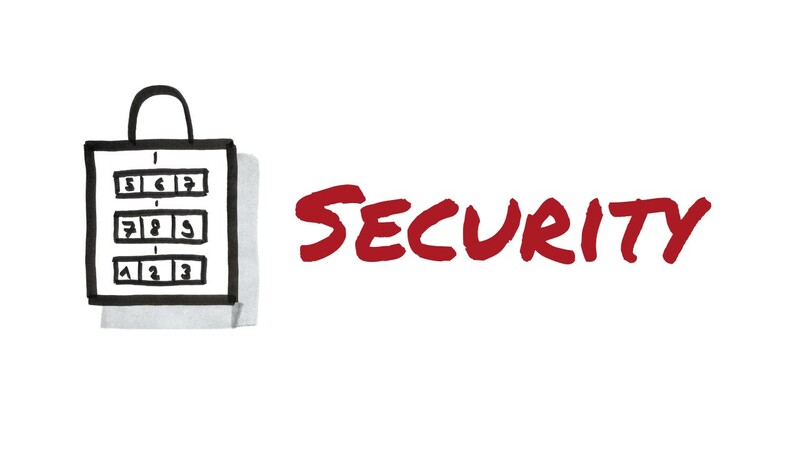 Depending upon your security requirements you might need to tunnel over SSL. 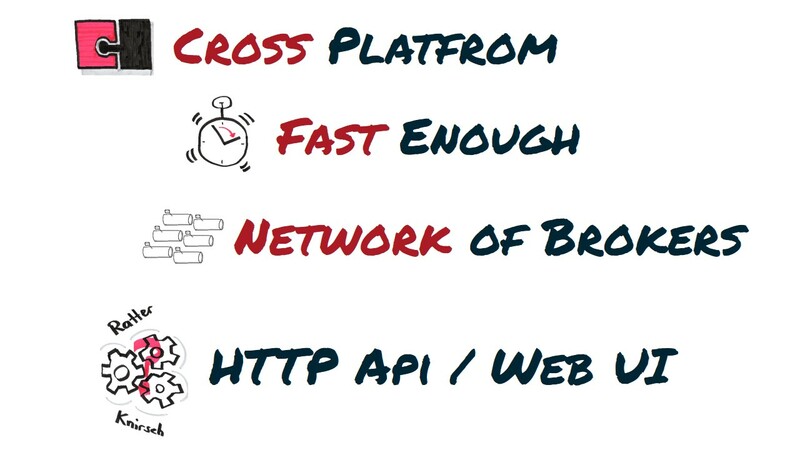 Especially with broker based transports you want to isolate applications running on the same broker infrastructure from each other. By default each application running on the same broker can read and write to all queues on the broker. When your project starts it is often a homogenous environment. 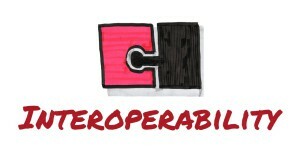 The longer the project runs the more it needs to interop with other programming languages and platforms. Of course it is perfectly valid to restrict the system architecture to a certain operating system. But if the transport supports interoperability between programming languages and operating systems by default, you might save a lot of effort in the future. As always with architecture, everything is a tradeoff! 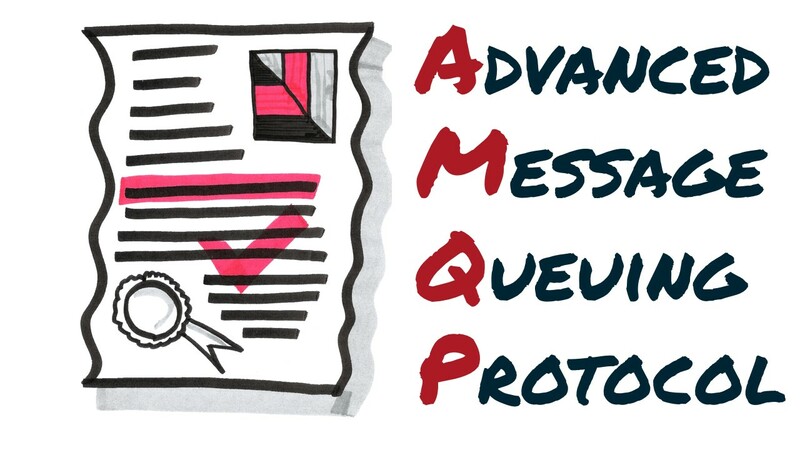 If you don’t want to suffer from vendor lockin and built upon messaging standards for better interoperability, you have to take AMQP (Advanced Message Queuing Protocol) support into consideration. 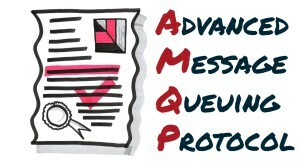 The AMQP standard is an open standard protocol for messaging originally develop by JP Morgan Chase and iMatix (development started in 2003). It is a wire level protocol like HTTP and totally vendor agnostic. 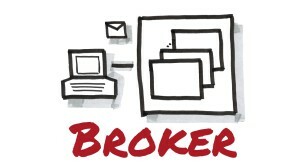 It can be used from client to broker but also from broker to broker communication. It is adopting more and more general acceptance. It has a couple of key concepts like Message Broker, Exchanges (Direct, Fan-out, Topic and Headers), Queues and Bindings. I’m going to briefly cover those key concepts during the RabbitMQ demo. 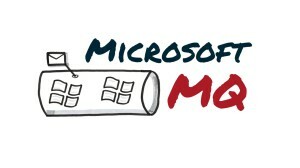 Microsoft Message Queuing (MSMQ) is developed by Microsoft and available since 1997 on every Windows platform (has to be installed as Windows Component). The latest MSMQ standard was released with Windows 7 and Windows Server 2008 R2 and has the version number 5.0. It provides Active Directory integration, does not support AMQP and uses the store and forward model. It supports native transactions as well as distributed transaction with distributed transaction coordinator integration. Messages are written to disk on the local machine. In order to not lose messages in case of disk failure the messages need to be written to highly available storage. Native Interoperability is quite limited because MSMQ only runs under Windows Operating systems. It is reasonably fast when used with managed code (available in the .NET framework) and even faster when combined with unmanaged code. Scaling and high availability can be achieved with building an MSMQ cluster and/or using the distributor provided by NServiceBus. Administration of MSMQ is fairly easy. 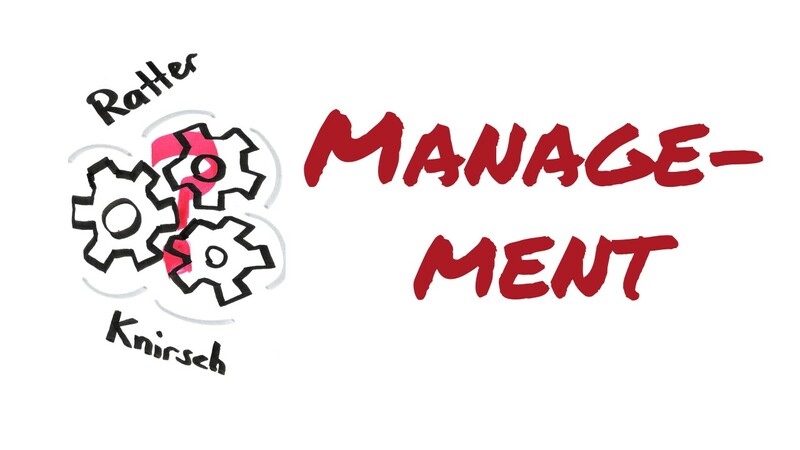 It can be installed, managed and configured with Powershell, in the Microsoft Management Console (MMC) or with third party tools such as ServiceInsight from Particular Software, QueueExplorer from Cogin or other advanced monitoring tools such as NewRelic or AppDynamics. 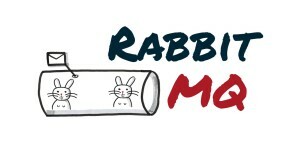 The next transport we’ll cover is RabbitMQ. 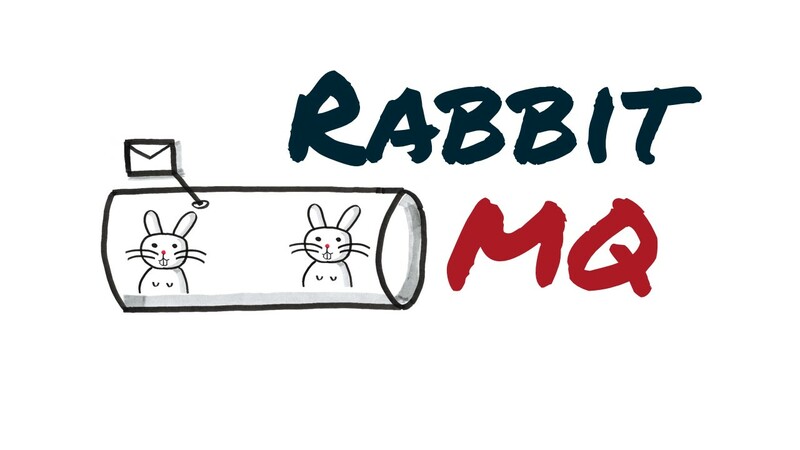 RabbitMQ is an open source messaging-oriented middleware written in Erlang. It leverages the Open Telecom Platform framework from Erlang for clustering and failover support. It is developed and supported by Rabbit Technologies Ltd. which started as a joint venture between LShift and CohesiveFT in 2007. In 2010 it was acquired by SpringSource which is a division of VMWare. The currently released major number is 3.0. 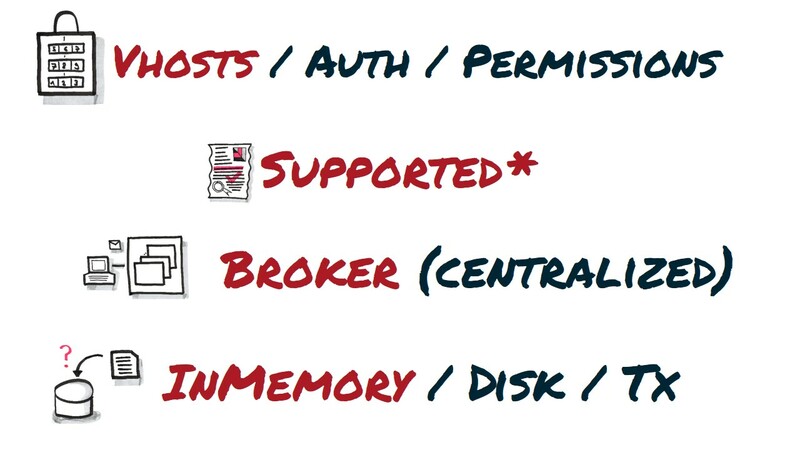 RabbitMQ has the notion of vhosts (virtual hosts) which allows to separate different applications running on the same broker. Authorization and permission is built in into the broker. RabbitMQ supports AMQP specification 0.9.1 out of the box and AMQP 1.0 via a plugin. 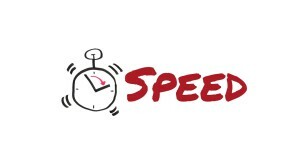 It is a broker based transport and by default optimized for speed. That means if you don’t tell RabbitMQ to do it otherwise, RabbitMQ will store many information in-memory. When you restart the broker all the information will be lost. Of course this can be tuned to your needs by defining messages, queues and exchanges durable, which will instruct RabbitMQ to write it to its internal database called Mnesia. RabbitMQ supports limited native transactions (for example there is no cross-queue transactions) but it is recommended to use publisher confirms. 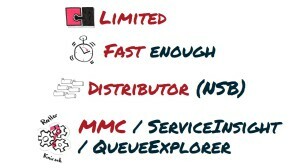 RabbitMQ is truly cross-platform. It runs everywhere where Erlang can be hosted. It offers a wide range of client libraries for different programming languages. As previously described it is tuned for performance out of the box. 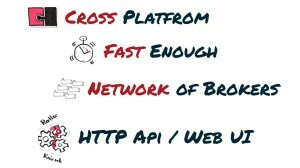 It can be clustered extremely easy based on the Open Telecom Platform framework from Erlang. By default it is administrated with the RabbitMQ command line interface, via the HTTP API or the WebUI. 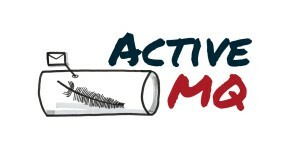 The last transport we’ll cover is ActiveMQ. ActiveMQ is an open source messaging-oriented middleware written in Java. Development startet around 2003 by a group of open source developers who built Apache Geronimo. The currently released major number is 5.0. 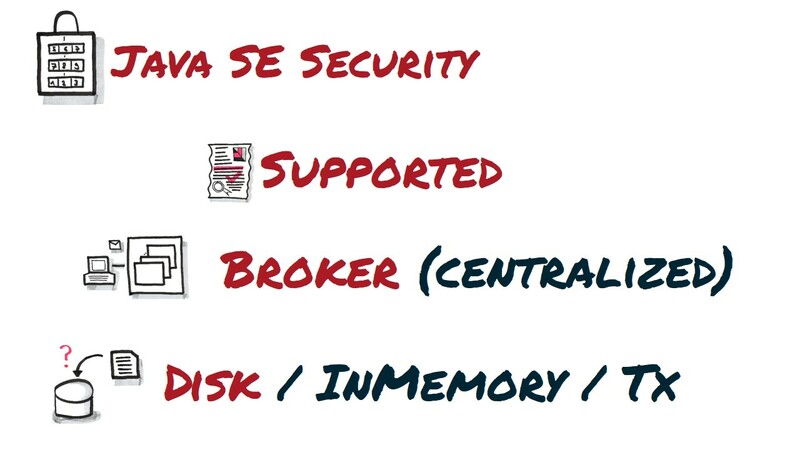 As ActiveMQ is fully developed in Java it leverages the security capabilities of the underlying JVM platform. 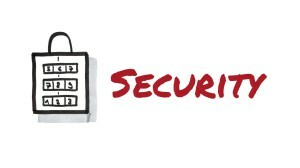 Namely it fully integrates with Java SE Security model. 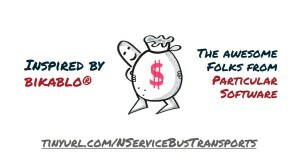 It is a broker based transport and the broker is AMQP 1.0 compliant. By default messages are saved to the internal database called KahaDB. In the future the default storage will be LevelDB. It supports native transactions. The .NET driver implementation claimed to support distributed transactions which doesn’t hold true as we found out! Because it is based upon Java it is truly cross platform. It is also fully JMS 1.1 specification compliant which allows to integrate ActiveMQ into every application server in the wild. It is reasonably fast for most applications. It can be “clustered” by buildup a Network of Brokers. 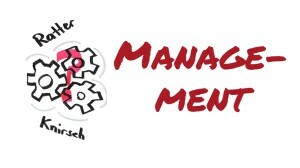 It can be management with a WebUI or the provided HTTP API. 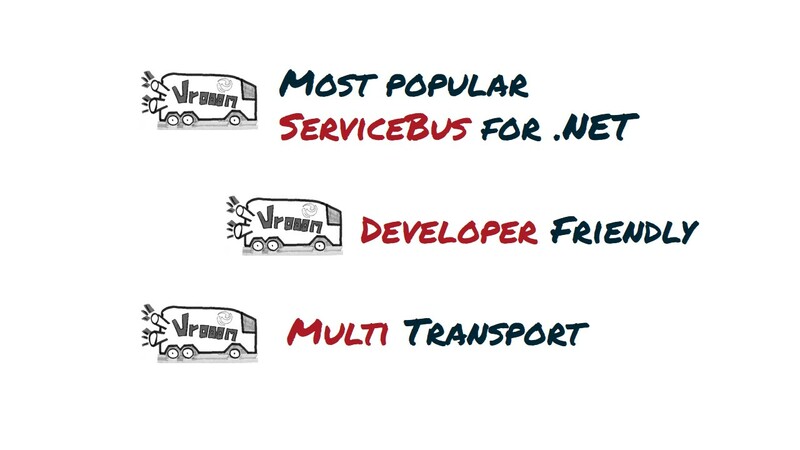 Before we wrap up I want to briefly mention that the NServiceBus ecosystem contains even more transports. 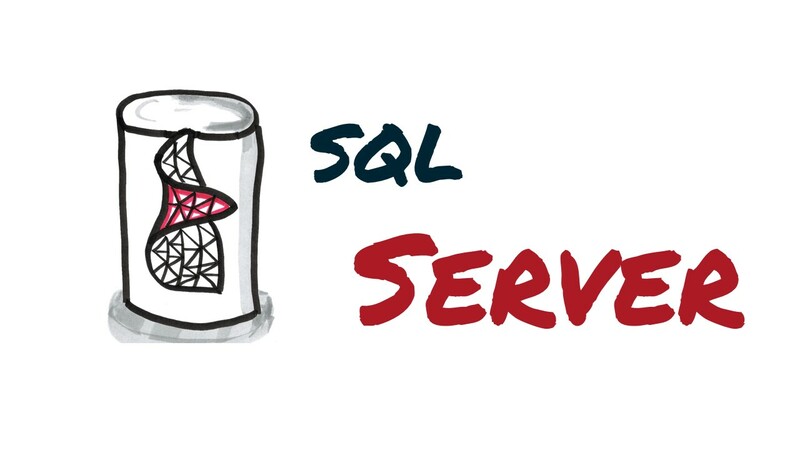 Queues and messages are stored inside SqlServer. 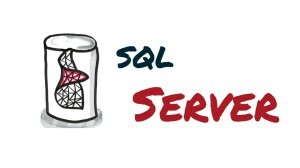 The cool thing is that you can use the same Sql Server transactions for the business data and the messages. 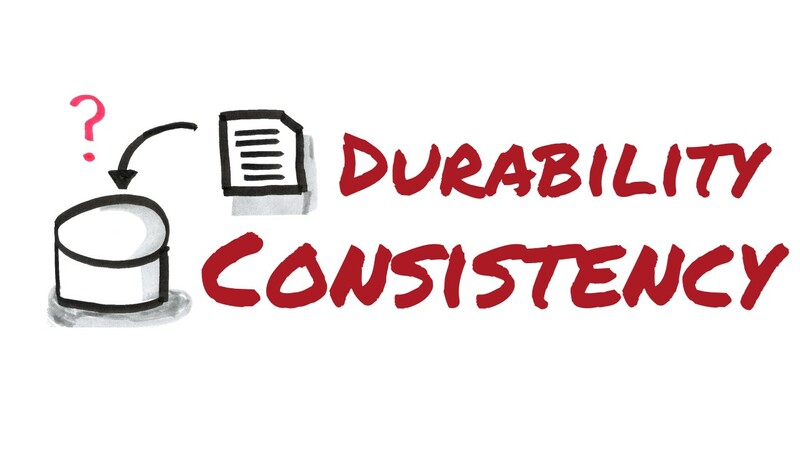 No need for two-phase commit protocol as long as you go with one database. But the transport also supports multiple databases. This then requires DTC. 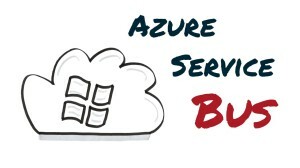 This allows hosting NServiceBus based solutions in the Azure cloud. The interop and reach for this transport is massive because Azure operates on global scale. All the graphics in this presentation are hand drawn by myself and heavily influenced by the Bikablo® technique. I also thank the awesome folks from Particular Software which are always here for help and support, and this around the clock! Do you have the code to share?